Sea water provides wellness for the mind, body and spirit. Our sea water is rich with iodine, phyto and zoo planktons and is rich in other minerals. We add it to our heated pools so that its regenerating properties are available to our guests at all time. 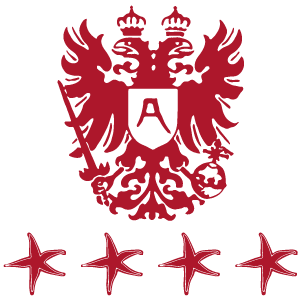 It has been practiced at the Grand Hotel Astoria since its inception (early 900). In fact, already in 1892 we have received the official title of Spa Marina. The therapies are applied by physical therapists with specialized personnel and under medical supervision. At the department you can perform medical examinations for admission to the treatments. Marine steam inhalations equipments have an have a therapeutic and preventive effect in the respiratory system diseases. They also provide a greater defense of the organism to external attacks and colds. The Butterfly-bath, provided with heaving system with air bubbles, allows us to operate with posttraumatic and postoperation rehabilitation as well rheumathic and neurological pathologies. The department is equipped with solar shower, solarium, gym with the technical equipment for primary companies. The products used during treatments are only natural and our staff will point you in the most appropriate to your skin type recommending the most suitable products to take care of yourself. The total relaxation, always in contact with the sea water properly heated, with jets designed to exert enough pressure on the skin to stimulate the circulation of body fluids.